Well-suited to any playing style. 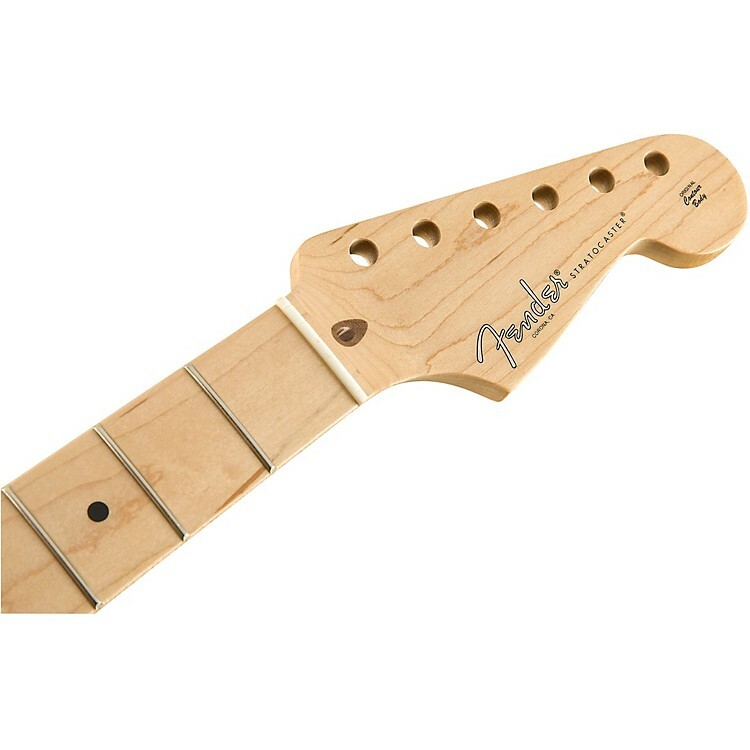 Crafted in the same facility as their U.S.-made instruments, the American Professional Stratocaster Neck is well-suited to any playing style. Designed for speed and comfort, this neck sports Fender's innovative “Deep C” neck profile, which, thanks to its increased mass and altered geometry, offers a natural fret-hand feel. Other features include a 9.5”-radius maple or rosewood fingerboard, 22 narrow-tall frets, bone nut and a satin urethane finish on the back. Upgrade or repair your Fender. Order today.